Throughout his inspiring life, Dr. Martin Luther King spoke out for the rights and dignity of all people from all walks of life. Today, nearly half a century after his monumental speeches and marches, your nine year old may look at you blankly when you describe the conditions that King and his followers protested. If so, that’s probably a sign of our nation’s progress. But, especially in January as our nation celebrates King’s birthday, it’s also important for every American to remember his legacy so that it will never die. 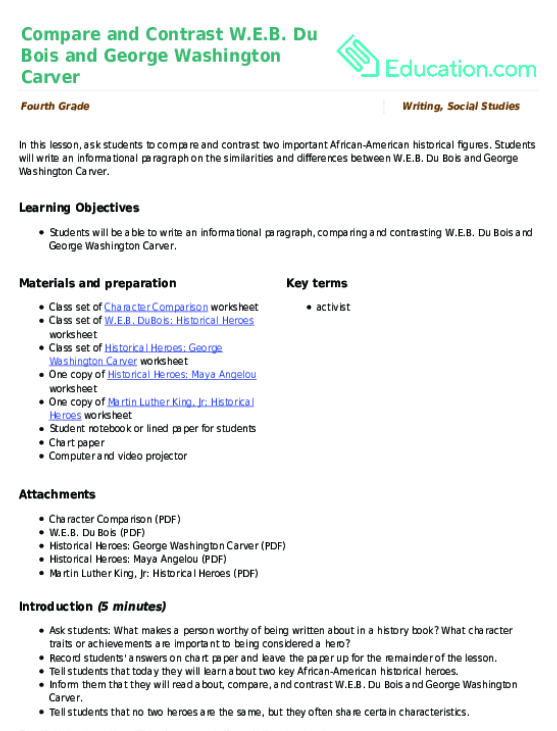 This year, as your fourth grader deepens social studies work and learns to do beginning research, you’ve got a great opportunity to explore King’s life and lessons. 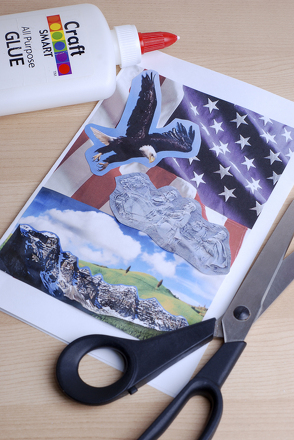 To bring it home, here’s an art activity with civic relevance: designing a memorial postage stamp. There are lots of money denominations for U.S. stamps, of course, but since King spent so many years helping African-Americans rise above segregation, our project calls for a “first class” stamp that would make any American proud. Start by building on a common year five skill: basic research. 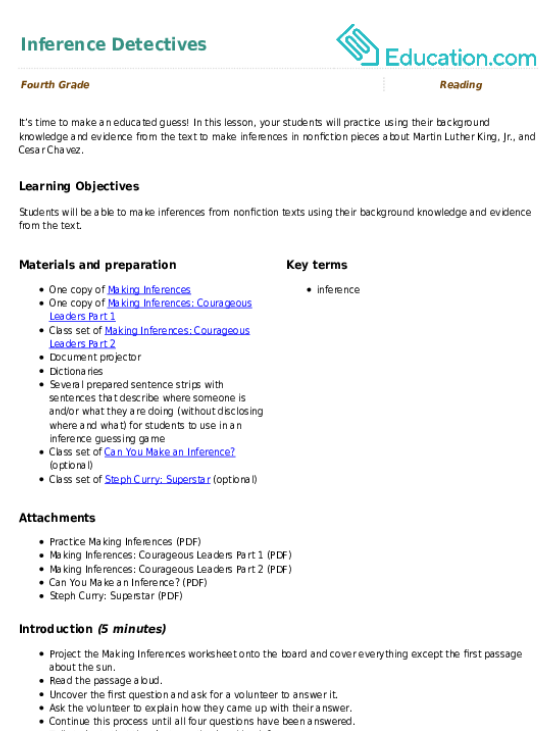 You can check your library, where there are many outstanding books about the life of Martin Luther King, or the Internet, where you can also find extensive information about him, including video clips of his most famous speeches. Then, for a little background on stamps in our country, visit the U.S. postal service website, which offers a catalogue of famous stamp designs that have appeared in the past. Now take out the white paper, and use the ruler and black fine-tip marker to measure out a frame, 8x10” in size. Choose whether you want your stamp to be horizontal or vertical in orientation; then, across the top or the bottom, neatly print key required information: USA, First Class Postage, and the name of the person or event you will draw. Remember that this writing isn’t just a scrawl: your child will want to choose a particular font, just like in real-life stamps. 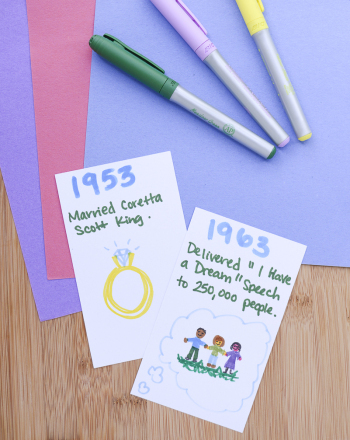 Use the colored pencils to create an illustration that honors King and his legacy. 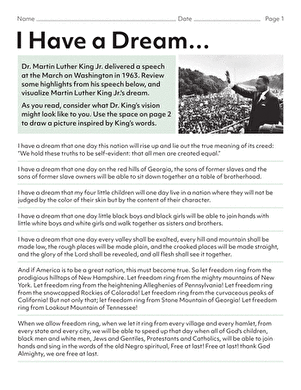 Your child might draw the March on Washington, for example, or one of the many images from the I Have a Dream Speech. Whatever she chooses, make sure the picture fills the frame, with as much space colored in as possible. 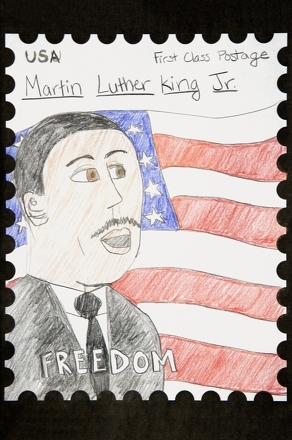 In the United States, many ideas for stamps don’t come from government leaders; they come from regular, everyday Americans—and that can include fourth graders! If you submit a stamp and the government decides to publish it, expect the process to take about three years…but of course, once the stamp appears, its artist has achieved an international viewing audience! By federal rules, the government only prints portraits of deceased Americans, at least 10 years after their death. One exception: a stamp with a president on it can be issued one year after his death. Stamps that commemorate major events are generally issued on the 50th anniversary of that event. Psst: The March on Washington happened in 1963, the Civil Rights Act in 1964, and King’s assassination happened in 1968, just for starters! 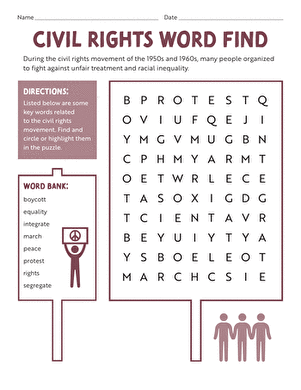 In this lesson, your students will practise using their background knowledge and evidence from the text to make inferences in nonfiction pieces about Martin Luther King, Jr., and Cesar Chavez.